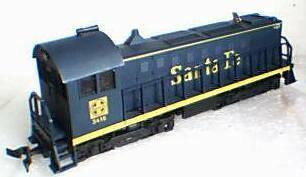 AHM first released this ALCO 1000 in 1971 with five roadnames (C&O, Pennsy, CB&Q, ATSF, and UP) being offered. 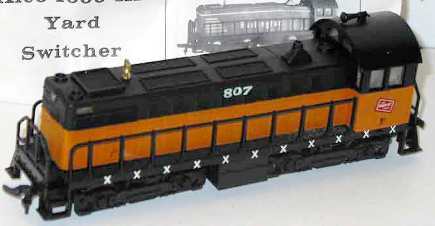 The 1977 AHM listings have this ALCO switcher carrying a suggested retail of $17.98 for Powered locos and $7.98 for the Non-Powered version. 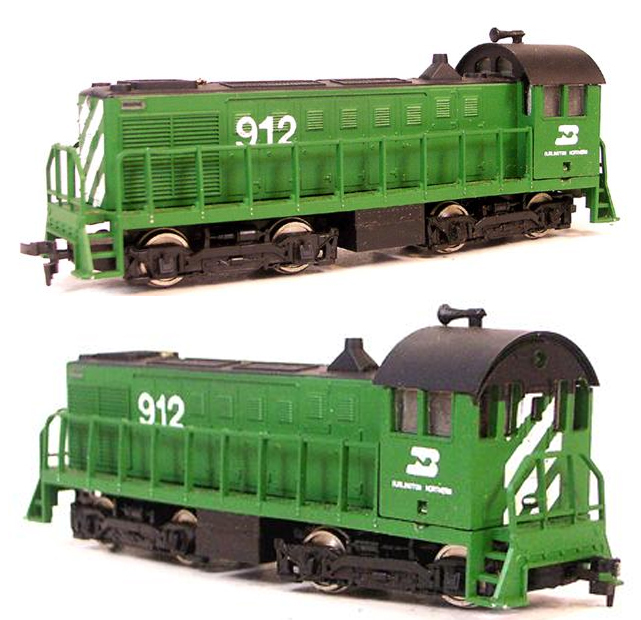 The 1981 AHM Catalog still offers the EMD SW-1 and the ALCO RS-2, but the ALCO 1000 is gone. Reviewing Jerry Pinkepank's Second Diesel Spotter's Guide, Alco's 1000 horsepower diesel switchers included the S-2 and S-4. AHM's model features blunt trucks, which would make it an S-2 example. One feature that I note missing is the lower set of louvers across the access doors down the hood of the unit on the AHM model. It appears both the S-2 and S-4 featured two sets of louvers, high and low, that ran from the radiator shutters near the nose back to the cab. In addition to AHM, this model has also been included in the Model Power product line in the past, though not currently offered by Model Power. IHC-Hobby has also imported this same ALCO 1000 in its offerings. The model was made in Yugoslovia, now Slovenia, by Mehano. 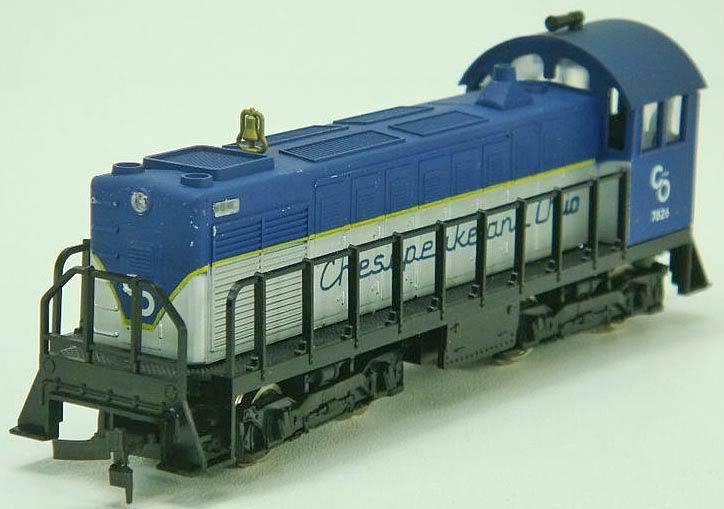 You'll note the familiar designs shared by this ALCO 1000 that are also found on other Mehano-made locos. 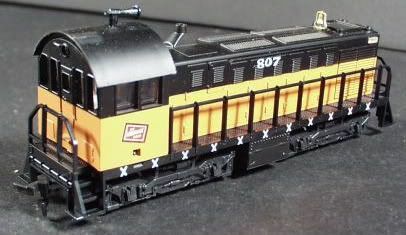 The handrails cast into the frame section are the most obvious trait that puts this ALCO switcher in the same family at the Varney/Life-Like/Model Power RS-11, Life-Life/Model Power/IHC Century 628 and Century 415 among other models. Above is an early box flap for the powered version of AHM's Alco 1000. Below is a later version box flap for the dummy Alco 1000. AHM added a "D" to the number to denote a non-powered or dummy example. This dummy box flap is also a later run, as it includes more roadnames for the model added later in its AHM life. You may read more about the history of ALCO at Wikipedia.org.